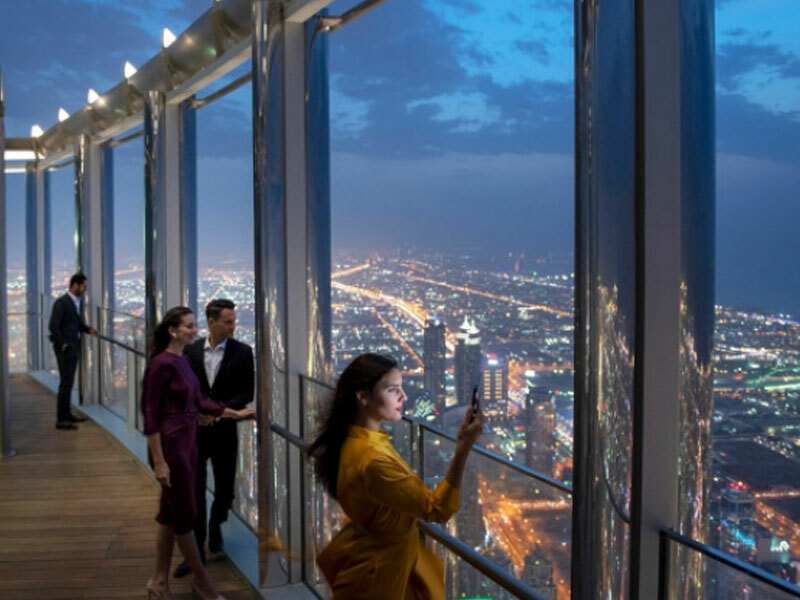 UAE-based real estate development company, Emaar, has opened doors for the public to the highest point in Burj Khalifa at levels 152, 153 and 154, towering at an imposing height of 575 meters, with the unveiling of The Lounge, Burj Khalifa. 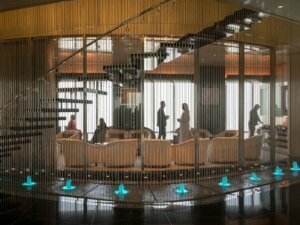 The developers of the Burj Khalifa expect the new lounge to become the must-visit destination to relax, unwind and chill in the company of friends and family in Dubai. The Lounge spans the three floors that have been converted into a state-of-the-art space that serves a fascinating selection of beverages and canapes for the truly discerning. The Lounge also features an outdoor terrace and will add to the list of Dubai’s must-visit attractions for tourists and residents. There are several lifestyle experiences awaiting visitors: From 12:30pm to 4pm, they can take in magnificent views of the city while indulging in light snacks and soft beverages and from 5:30pm to 7pm, it is sundowner time with cocktails and canapes, which will then move to an evening cocktail setting from 7:30pm to midnight, when guests can celebrate with the finest selection of beverages and canapes. Taking the city’s night life to the next level, The Lounge, Burj Khalifa will feature live music daily and will feature international artists and performers. To celebrate the opening month, the performer line-up includes live musicians, pianists, and DJs taking center stage to regale guests. Level 152, 153 and 154 have distinctive settings – each assuring never-before-seen views of the city. While the former features majlis style coffee tables and lush couches, the latter will have only cocktail tables. Reservations to The Lounge, Burj Khalifa can be booked at www.burjkhalifa.ae, and the guests will be guided through the Armani Hotel Dubai lobby or the At the Top, Burj Khalifa entrance in The Dubai Mall.